PUH, Mezz. 2, C Wing - 200 Lothrop St.
Medical Arts Bldg., 4th Floor - 3708 Fifth Ave.
Dr. Duerr has been involved in research related to inflammatory bowel disease throughout his career. He leads one of six genetic research centers that comprise the NIH/NIDDK Inflammatory Bowel Disease Genetics Consortium. His research program has had uninterrupted funding from the NIH, Crohn's & Colitis Foundation, and other foundations since 1995. He was recently appointed Associate Chief Scientist, Translational Research on the Leadership Team of the Crohn’s & Colitis Foundation's IBD Plexus research and information exchange platform that will engage academic and industry researchers, IBD patients, and clinicians and other healthcare providers in a partnership to accelerate the science of IBD. Dr. Duerr is a member of the American Gastroenterological Association, the American Society of Human Genetics, and the Crohn's & Colitis Foundation. He has been an invited lecturer in local, national and international venues, and he has published original inflammatory bowel disease genetics research articles in journals such as Nature, Science, Nature Genetics, American Journal of Human Genetics, and Human Molecular Genetics. 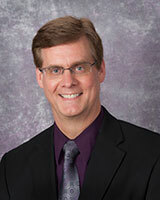 He has served on grants review committees for the NIH and Crohn's & Colitis Foundation. Huang, H., Fang, M., Jostins, L., Umicevic Mirkov, M., Boucher, G., Anderson, C.A., Andersen, V., Cleynen, I., Cortes, A., Crins, F., D'Amato, M., ..., Duerr, R.H., Mathew, C.G., Rioux, J.D., McGovern, D.P.B., Cho, J.H., Georges, M., Daly, M.J., Barrett, J.C. Fine-mapping inflammatory bowel disease loci to single-variant resolution. Nature. 2017; 547(7662): 173-178. Li, D., Achkar, J.P., Haritunians, T., Jacobs, J.P., Hui, K.Y., D'Amato, M., Brand, S., Radford-Smith, G., Halfvarson, J., Niess, J.H., Kugathasan, S., Buning, C., Schumm, L.P., Klei, L., Ananthakrishnan, A., Aumais, G., ..., Braun, J., McGovern, D.P., Duerr, R.H. A pleiotropic missense variant in SLC39A8 is associated with Crohn's disease and human gut microbiome composition. Gastroenterology. 2016; 151(4): 724-32. Chuang, L.S., Villaverde, N., Hui, K.Y., Mortha, A., Rahman, A., Levine, A.P., Haritunians, T., Ng, S.M., Zhang, W., Hsu, N.Y., Facey, J.A., Luong, T., Fernandez-Hernandez, H., Li, D., ..., Duerr, R.H., Merad, M., McGovern, D.P., Peter, I., Cho, J.H. A Frameshift in CSF2RB Predominant Among Ashkenazi Jews Increases Risk for Crohn's Disease and Reduces Monocyte Signaling via GMCSF. Gastroenterology. 2016; 151(4): 710-723. Cleynen, I., Boucher, G., Jostins, L., Schumm, L.P., Zeissig, S., Ahmad, T., Andersen, V., Andrews, J.M., Annese, V., Brand, S., Brant, S.R., Cho, J.H., Daly, M.J., Dubinsky, M., Duerr, R.H., ..., Radford-Smith, G., McGovern, D.P., Barrett, J.C., Lees, C.W. Inherited determinants of Crohn's disease and ulcerative colitis phenotypes: a genetic association study. Lancet. 2016; 387(10014): 156-67. Adamik, J., Henkel, M., Ray, A., Auron, P.E., Duerr, R., Barrie, A. The IL17A and IL17F loci have divergent histone modifications and are differentially regulated by prostaglandin E2 in Th17 cells. Cytokine. 2013; 64(1): 404-12. Jostins, L., Ripke, S., Weersma, R.K., Duerr, R.H., McGovern, D.P., Hui, K.Y., Lee, J.C., Schumm, L.P., Sharma, Y., Anderson, C.A., Essers, J., Mitrovic, M., Ning, K., Cleynen, I., Theatre, E., Spain, S.L., Raychaudhuri, S., ..., Barrett, J.C., Cho, J.H. Host-microbe interactions have shaped the genetic architecture of inflammatory bowel disease. Nature. 2012; 491(7422): 119-24. Achkar, J.P., Klei, L., de Bakker, P.I., Bellone, G., Rebert, N., Scott, R., Lu, Y., Reguiero, M., Brzezinski, A., Kamboh, M.I., Fiocchi, C., Devlin, B., Trucco, M., Ringquist, S., Roeder, K., Duerr, R.H. Amino acid position 11 of HLA-DRB1 is a major determinant of chromosome 6p association with ulcerative colitis. Genes and Immunity. 2012; 13(3): 245-52. Silverberg, M.S., Cho, J.H., Rioux, J.D., McGovern, D.P., Wu, J., Annese, V., Achkar, J.P., Goyette, P., Scott, R., Xu, W., Barmada, M.M., Klei, L., Daly, M.J., Abraham, C., Bayless, T.M., Bossa, F., Griffiths, A.M., ..., Roeder, K., Duerr, R.H. Ulcerative colitis-risk loci on chromosomes 1p36 and 12q15 found by genome-wide association study. Nature Genetics. 2009; 41(6): 216-20. Silverberg, M.S., Duerr, R.H., Brant, S.R., Bromfield, G., Datta, L.W., Jani, N., Kane, S.V., Rotter, J.I., Schumm, P.L., Steinhart, H.A., Taylor, K.D., Yang, H., Cho, J.H., Rioux, J.D., Daly, M.J., NIDDK IBD Genetics Consortium. Refined genomic localization and ethnic differences observed for the IBD5 association with Crohn's disease. European Journal of Human Genetics. 2007; 15(3): 328-35. Duerr, R.H., Taylor, K.D., Brant, S.R., Rioux, J.D., Silverberg, M.S., Daly, M.J., Steinhart, A.H., Abraham, C., Regueiro, M., Griffiths, A., Dassopoulos, T., Bitton, A., Yang, H., Targan, S., Datta, L.W., Kistner, E.O., Schumm, L.P., ..., Nicolae, D.L., Cho, JH. A genome-wide association study identifies IL23R as an inflammatory bowel disease gene. Science. 2006; 314(5804): 1461-3.